An AMC actress claims that former President George H.W. Bush groped her from his wheelchair during a screening. Heather Lind, who starred in “Turn: Washington’s Spies,” detailed her accusations in a lengthy Instagram post Tuesday, when she said she was “disturbed” after seeing a photo of President Obama with the 41st president. “I found it disturbing because I recognize the respect ex-presidents are given for having served. And I feel pride and reverence toward many of the men in the photo. 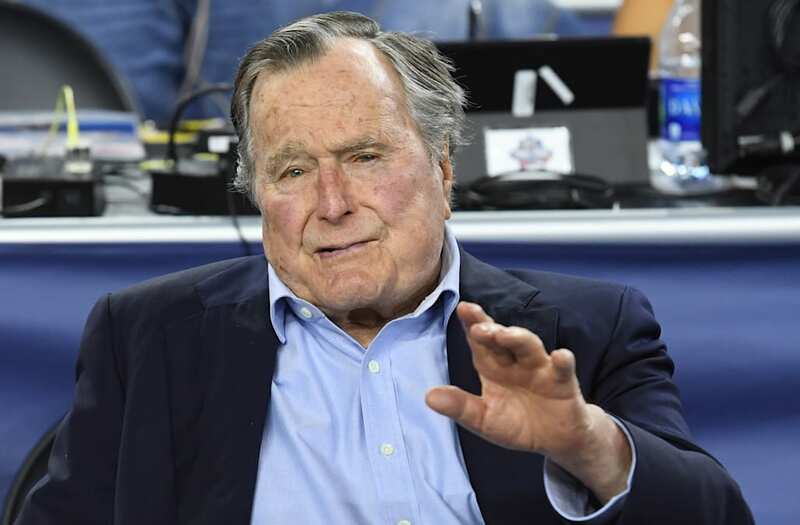 But when I got the chance to meet George H. W. Bush four years ago to promote a historical television show I was working on, he sexually assaulted me while I was posing for a similar photo,” Lind, 34, wrote. Lind, who played Anna Strong on the drama about “America’s first spy ring,” met the former President, 93, during a special screening of the show in 2014, a week before its premiere. “We were instructed to call him Mr. President. It seems to me a President’s power is in his or her capacity to enact positive change, actually help people, and serve as a symbol of our democracy. He relinquished that power when he used it against me and, judging from the comments of those around him, countless other women before me,” Lind wrote. In the past several weeks, dozens of women have accused Harvey Weinstein of sexual assault and harassment, as well as similar claims against other actors, producers, directors, photographers and musicians. A rep for Bush did not immediately return a request for comment.